It's not every day you hear those two words together. Kayaks usually weigh 30-50 pounds but if you want something you can take backpacking, you'll have to do better. In this guide we'll take a look at some kayaks that weigh as little as 6 pounds and another kayak that transforms into a backpack so you can carry it with you. If you're in a hurry, here's our top pick. Scroll down for an in depth guide. It's not the lightest kayak in the world but it's innovative, easy to use and actually a damn good kayak. The Sevylor Quikpak is a heavy duty and reliable kayak. The quality control is top notch and it's easy to setup and take down. When you're done using it, you can transform the kayak into a backpack and carry it while you hike. It weighs 23 pounds which is on the heavier side but the quality and portability make it worth it. Just to be clear, no kayak is really going to be ultralight. There are some kayaks that go as light as 6 pounds but you'll be making sacrifices. The Sevylor Quikpak K5 weighs in at 23 pounds and is far from ultralight. But as far as kayaks go, it's about 10-20 pounds lighter than a normal kayak. But in exchange for the additional weight, you get a really solid kayak. The Quikpak K5 would be a great kayak even if it wasn't so lightweight. The other innovative part of the K5 is that it turns into a backpack. Here's a quick rundown of the pros and cons of the Quikpak K5. Transforms into a backpack so you can easily haul it in the backcountry. It's quick and easy to transform between kayak and backpack. Surprisingly easy to pack the kayak down into backpack form. OEM paddle can be uncomfortable. I'd recommend getting your own paddle. Seat can be a little "tippy" but not too bad. If you want to see the K5 in action, check out this video clip. The video's a little long so just skip around and you'll get a feel for what it loos like and how it turns into a backpack. Another thing you might not have thought about is quality. There aren't many complaints about the Quikpak K5 getting leaks or having issues right out of the box. 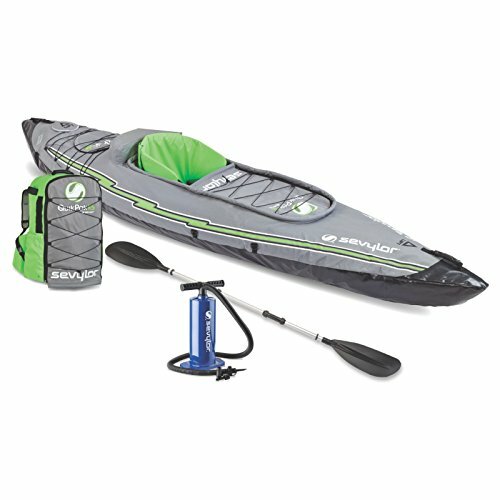 According to Bestoutdooritems.com, the Quikpak K5 is the most lightweight and affordable inflatable kayak compared to traditional kayaks. Before I move on and talk about the best "budget" kayak, just know that you're paying for some of the quality you get with Sevylor products. You should always check your gear at home before leaving on a trip but you should have fewer issues with the Sevylor kayak. If you thought the Quikpak K5 weighed too much, then the Advanced Elements PackLite Kayak might be a better choice since it only weighs 6 pounds. 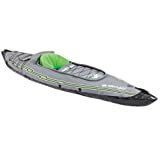 The PackLite is one of the most lightweight kayaks on the market. Now before I go into detail, you need to figure out if this type of kayak will work for you. In order to strip the weight down to 6 pounds, Advanced Elements took out a lot of features you'd normally find in a kayak. Just look at this picture and see for your self how it compares to the Quikpak I just reviewed. If you can live without having some of the features you get from the Quikpak, then you can shave off a whopping 17 pounds. Whether or not you can do this will depend a lot on how you will use the kayak. I normally backpack so being my priority would be on portability. I'm probably not going to be backpacking and need all of the features I'd get from the Quikpak. I'm good with making a few sacrifices in extra features to get my weight down from 23 pounds to 6 lbs. But if you're primary objective is kayaking then it might make sense to prioritize the kayaking prowess over the light weight. Make sure you check your kayak before taking it out into the real world. There are several complaints about this kayak having leaks or small holes so you should test yours first. Just fill it up with air and let it sit for 24 hours. If it hasn't lost a significant amount of air then you're good to go. 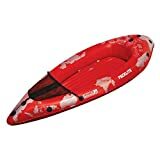 Both of the kayaks I've reviewed so far are fairly pricey. 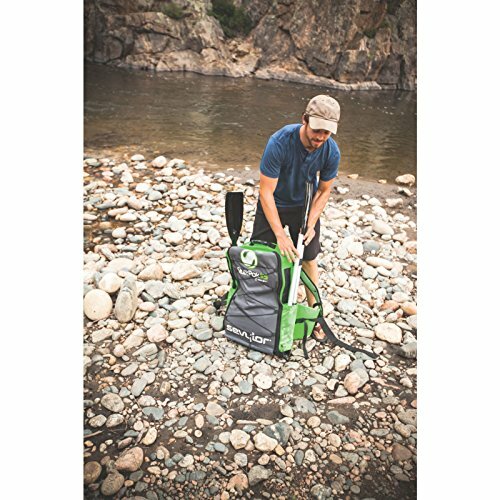 If you're willing to sacrifice the packability of the Quikpak and the super light weight of the Packlite, then this next option might work better for your budget. 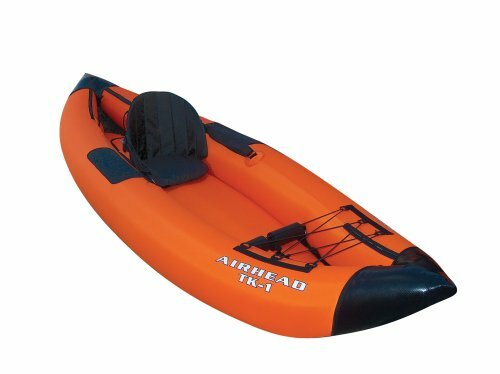 The best budget option for an ultralight kayak is the Airhead Montana Kayak 1. It doesn't fold into a backpack and it weighs in at 27 pounds. But if you can live with those trade offs then you'll be able to save quite a bit of money. This inflatable kayak is pretty lightweight and cheaper than most traditional kayaks. 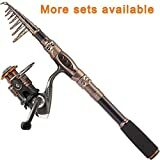 It's 9 feet long and has plenty of room for your gear. The Airhead Montana is made of 840-denier nylon which is super tough so you don't have to worry about leaks. The obvious downside is the increased weight.